I’m going to be 8 months pregnant for Halloween so I wanted to have something easy to do, that I could either go all out with, or tone down depending on the effort I want to put out. 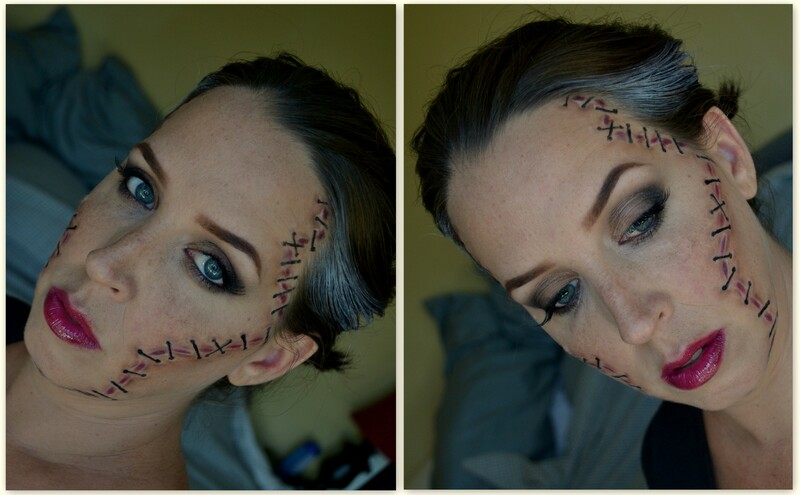 Thankfully last year everyone on the planet learned how to do easy and pretty realistic stitches when the Rick Baker MAC collection came out. Click here to be taken to the MAC + Rick Baker “How To Create The Monster’s Bride” Video. Happy November everyone. I’m super excited for TURKEY….. is it bad that the best part of the holiday season for me is the food? >:) No seriously I love everything about this time of year, but if the food is not good it’s all down hill from there. I mean come on, it’s forceful family time and there is always drama. I can handle just about anything, so long as I can shovel bacon wrapped turkey and garlic mashed potatoes in my face! Keep and eye on my food blog for yummy junk to pop up. There is a link <—- over there somewhere! 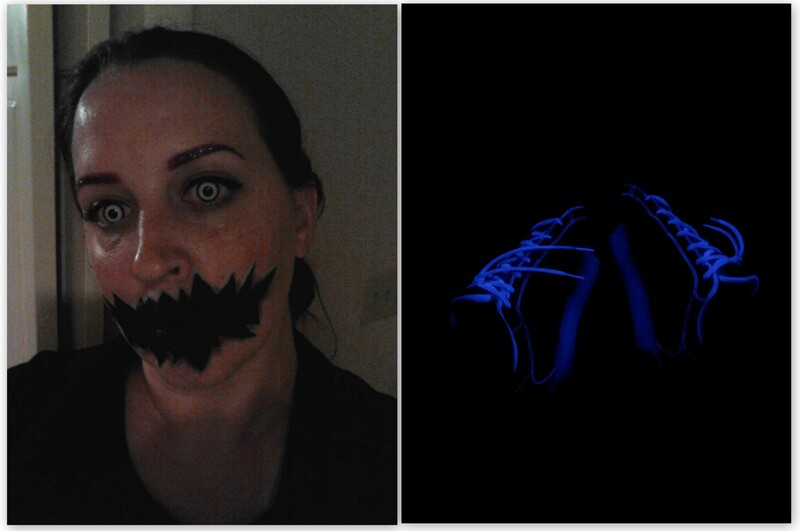 I was playing in my MAC pigments for this. I used Blue Brown and Vanilla. Above is in my vanity lights, below is natural light at a window. 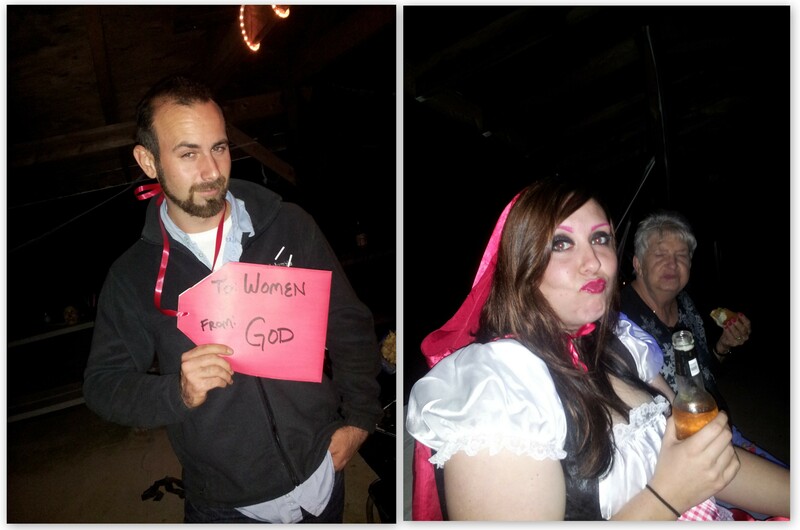 I was going to post about my Halloween party, but that didn’t work out quite as planned. I got super busy and forgot to even pick up my camera, I did manage to get a few pictures on my phone though. That’s me and my kicks glowing in the black light! I just went as myself…lol! White contacts, magenta glitter brows, a black dress and shell top Adidas. My sister as Red Riding Hood, drinking Redd’s Apple Ale, with my grandmother. The wolf was around somewhere, he was probably playing Corn Hole! My friends husband as God’s Gift!!!! He had a bow, but he lost it. 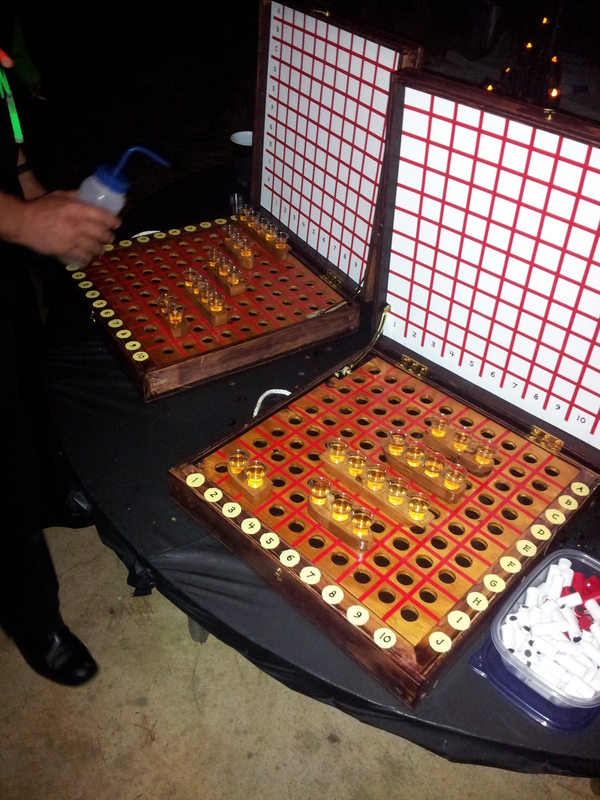 Battleshots, made by my father in law. This was a hit!! The party didn’t go off as well as last year, but that’s because we had it on a Friday rather than a Saturday so everyone was tired. Sadly I didn’t get rid of all the Tootsie Rolls. Don’t forget to come say hello on Facebook!